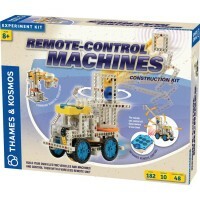 This new Thames & Kosmos' Remote Control Machines 227 pc science kit is designed for the young engineers to build 8 different models of the realistic construction vehicles. 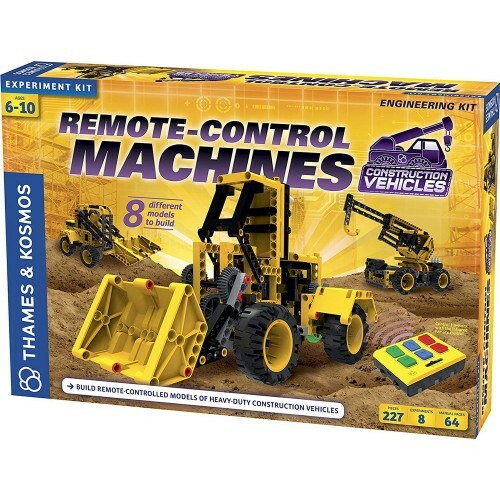 Remote Control Machines Construction Vehicles Building Science Kit by Thames & Kosmos lets young engineers build 8 models of realistic heavy-duty construction vehicles and control them with a RC unit. 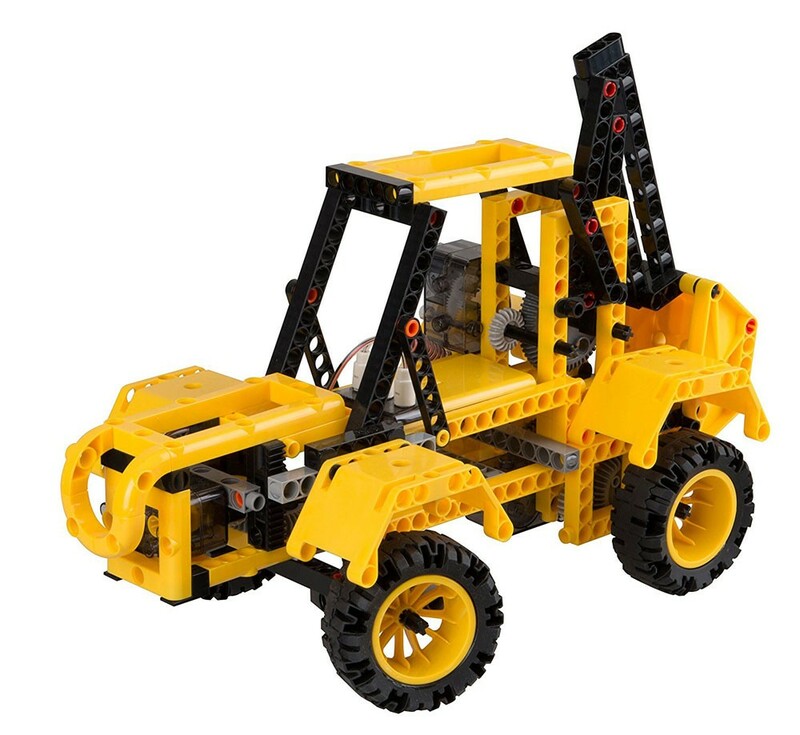 The vehicle models can be controlled both to drive around on the floor and to move their work tools, such as buckets, shovels, forks, and cranes. 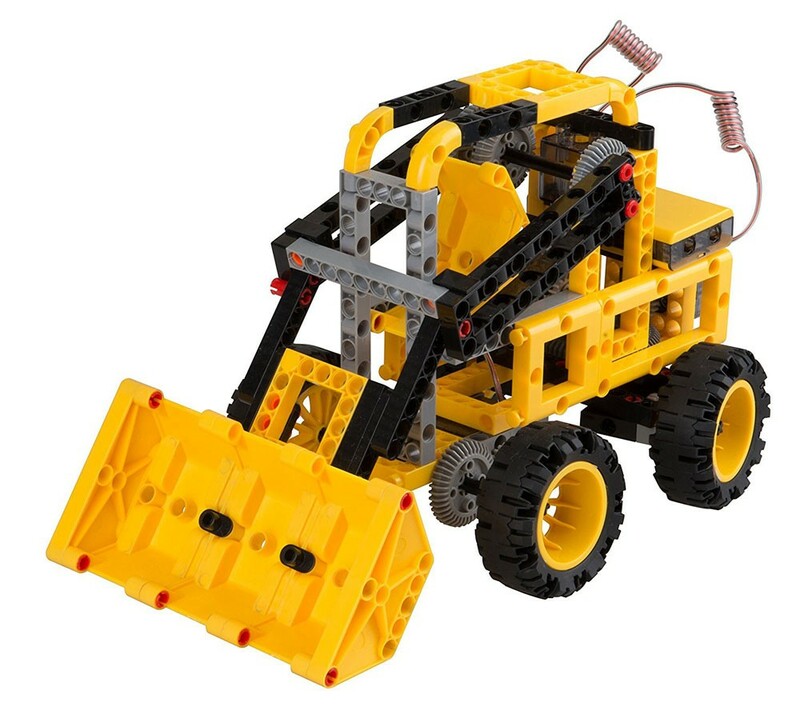 Build a bulldozer with a blade that can be raised and lowered, a backhoe with a digging bucket that can move inward and outward, and a dump truck with a dump bed that can be raised up to empty its contents. 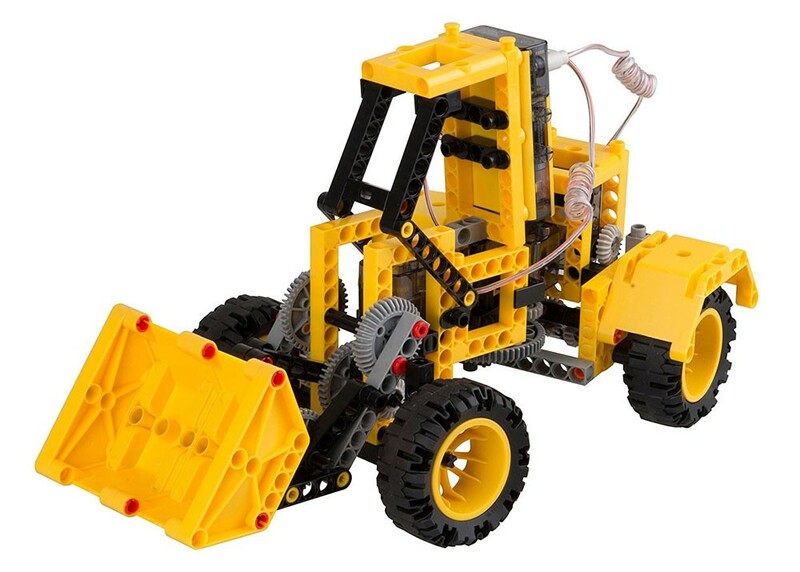 Make a mobile crane truck with a crane arm that moves up and down, a skid loader with a bucket that also moves up and down, and a road grader with a scraper blade that turns left and right. 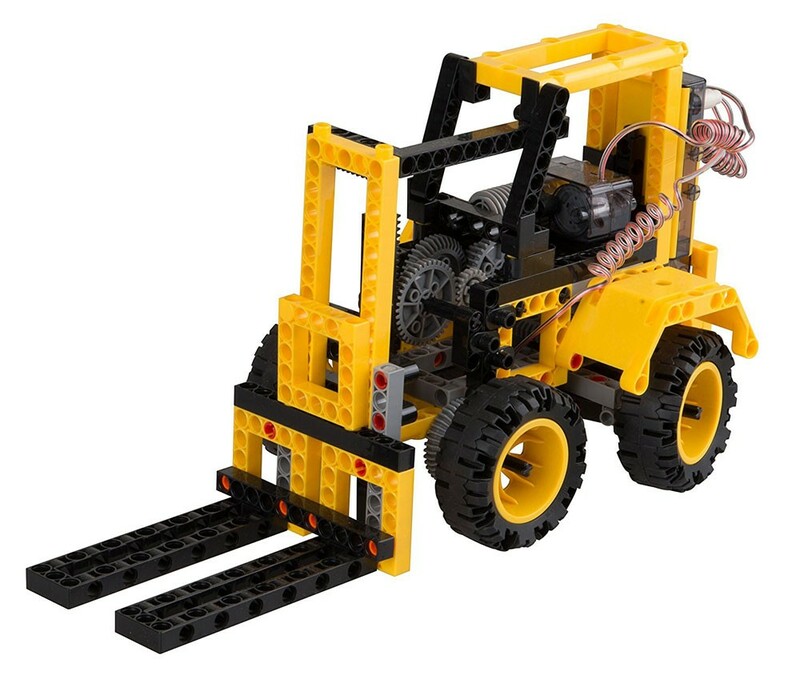 Assemble a forklift with a fork that can be raised and lowered and a concrete mixer truck with a mixing drum that rotates. 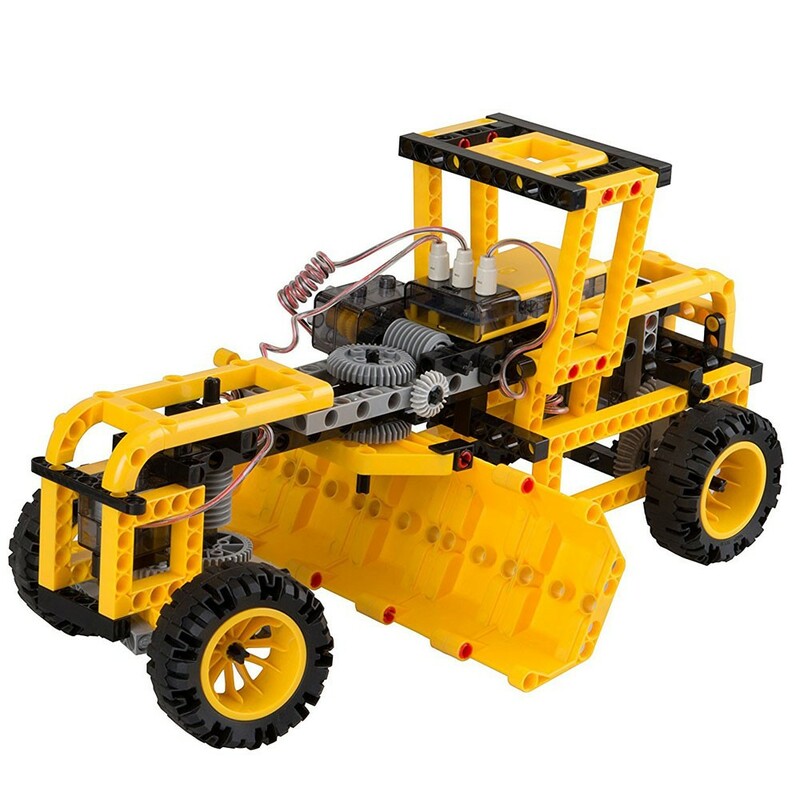 Instructions for two additional models - a reach forklift and a wheel tractor-scraper - are available online. 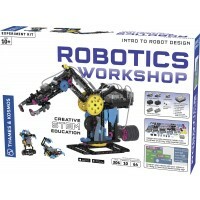 This model building set from Educational Toys Planet comes complete with 227 pieces and a 64-page, full-color manual that guides you through model building with step-by-step illustrated instructions. 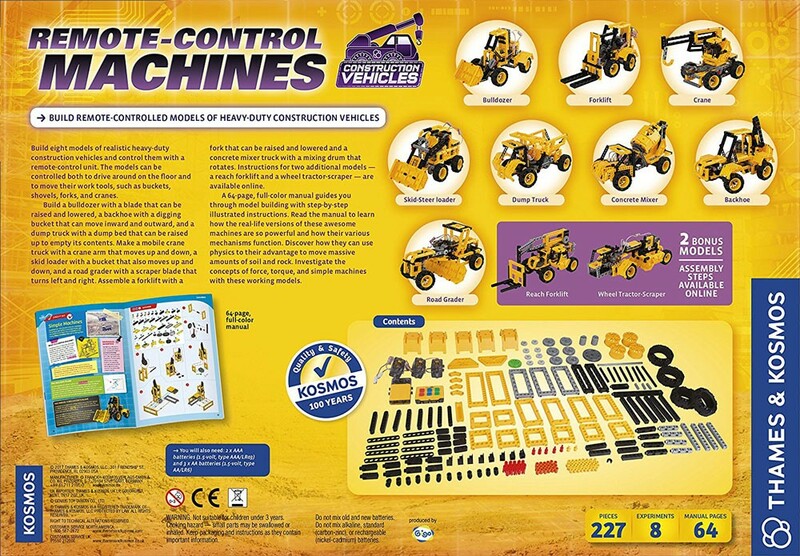 Read the manual to learn how the real-life versions of these awesome machines are so powerful and how their various mechanisms function. 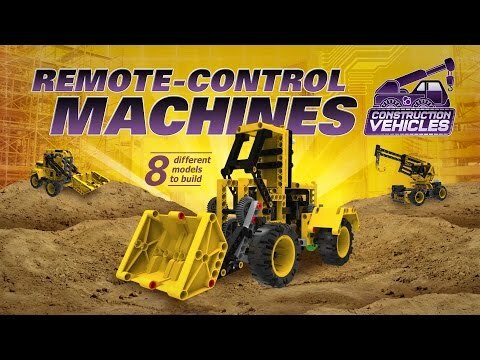 Discover how they can use physics to their advantage to move massive amounts of soil and rock. 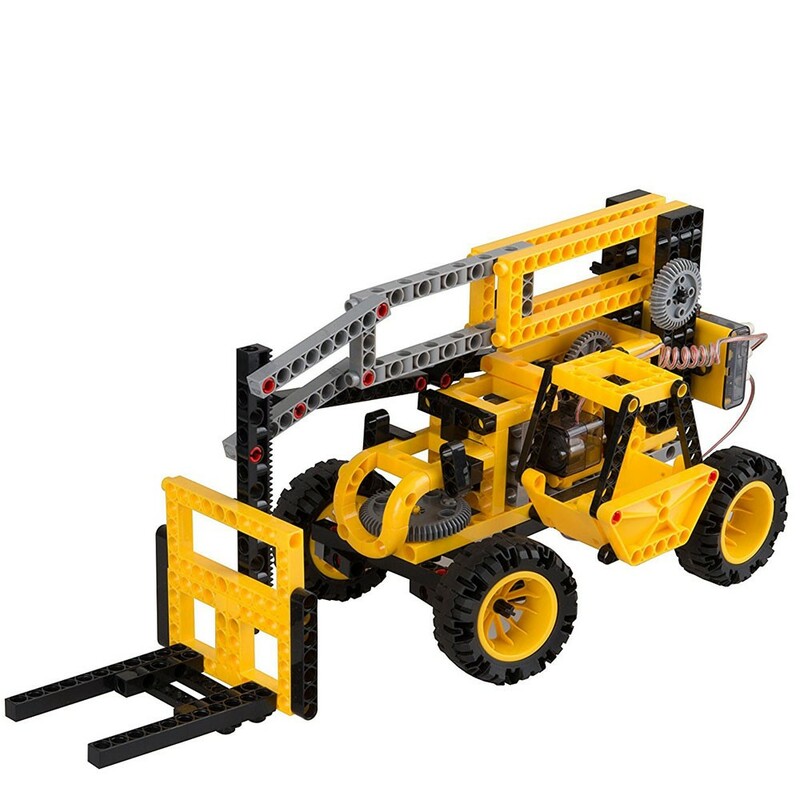 Investigate the concepts of force, torque, and simple machines with these working models. 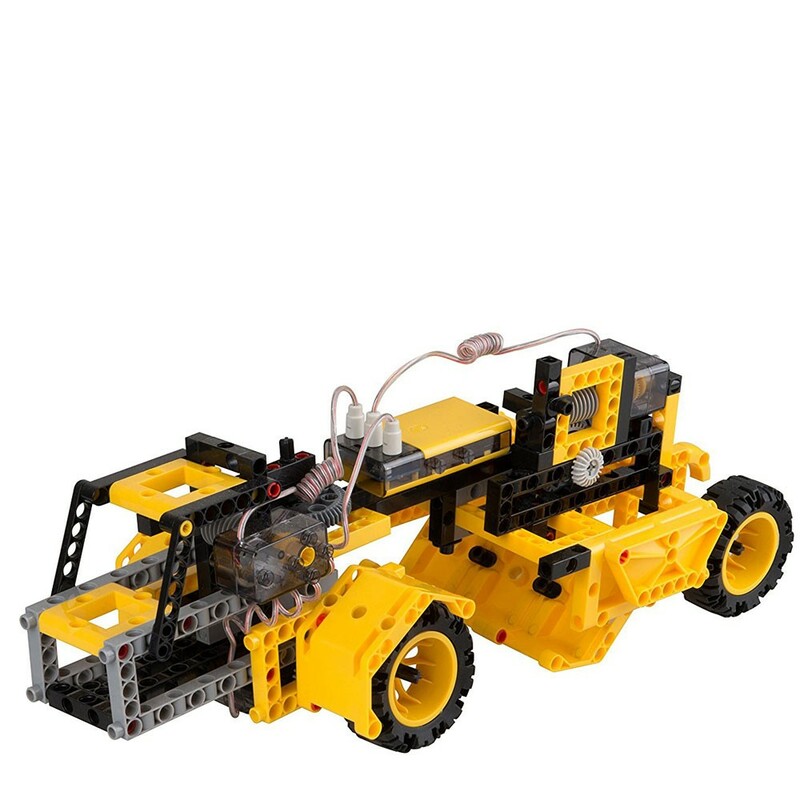 Dimensions of package 3.2" x 16.8" x 11.5"
Write your own review of Remote Control Machines Construction Vehicles Building Science Kit. Rating: 5 Good deal by By A customer Great!! Rating: 5 Fun by By A customer Cool! 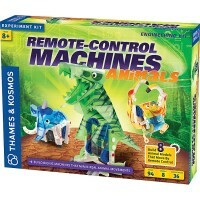 Rating: 5 Fun in building and playing by By A customer Really fun set. 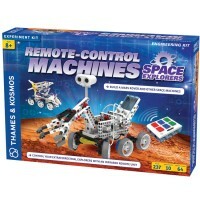 A step up from Legos in terms of complexity, providing a learning experience along the way. A little hard for my kids (6 and 4), but I am definitely happy to help. Rating: 4 Hours of entertainment for my boys! 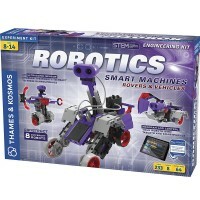 by By A customer One of my sons got this for Christmas and all of his brothers are jealous. Lol. The pieces are a little difficult to snap together, which is the only reason I did not rate it as 5 star. 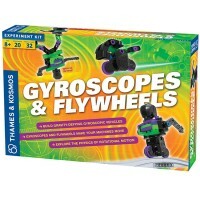 Rating: 4 STEM Set with Learning by By A customer Review for Farm Vehicles:This is a great STEM activity building set. 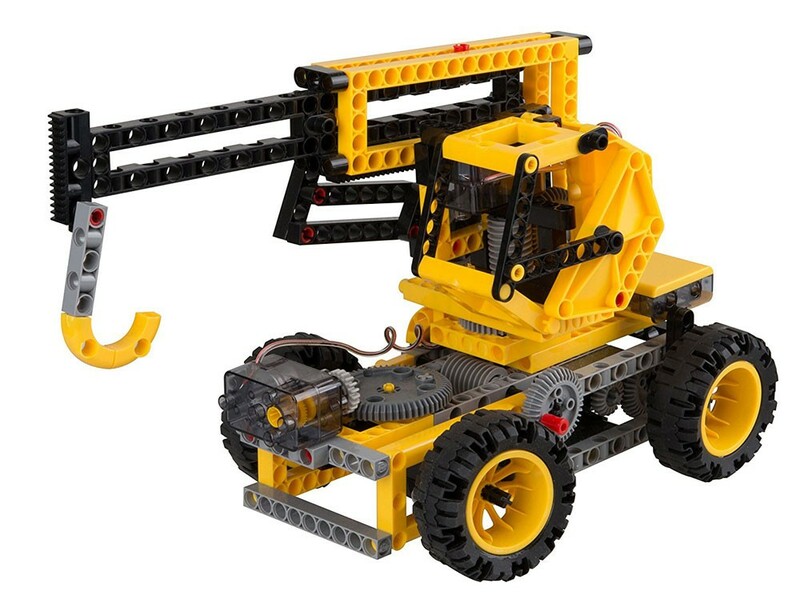 It is rated for ages 6 - 10 on the box but the lower end of this at 6 would definitely need help. 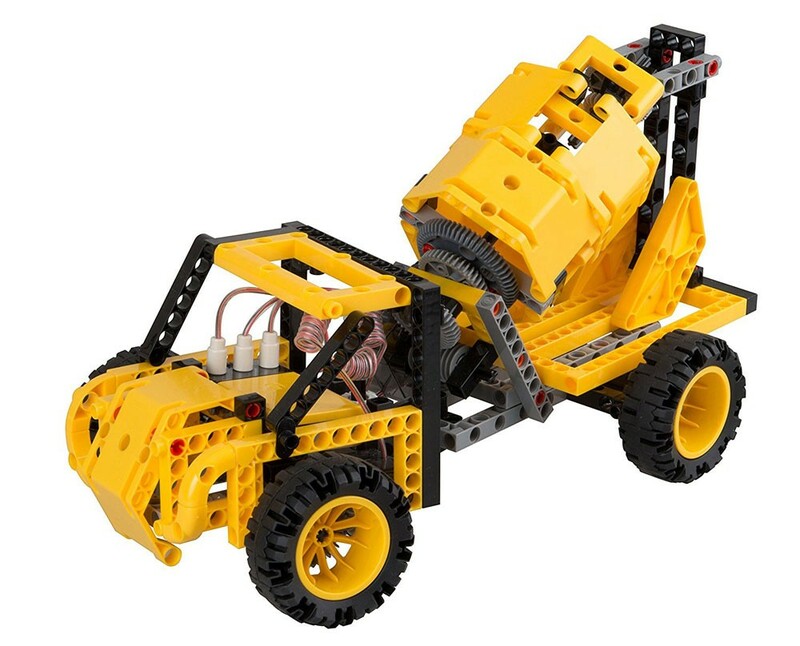 I would say that 8 - 12 is far more accurate but teens that still enjoy building bricks activities would still enjoy and learn from this set. 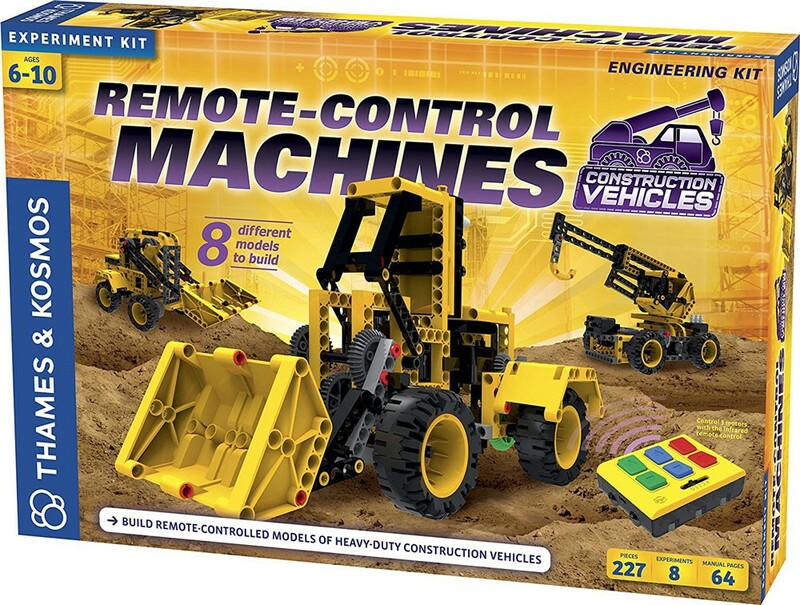 My 13 year old who loves STEM activities, and all construction type sets, loved this set.It comes with the instructions to build several farm vehicles and attachments. 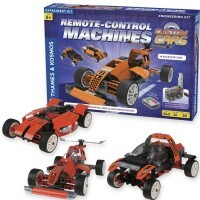 The most interesting aspect of this set is that you can turn your creations into a remote control vehicle. 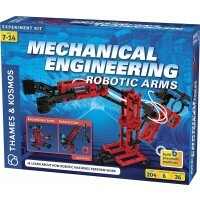 It has a higher learning aspect than just putting block and bricks together. 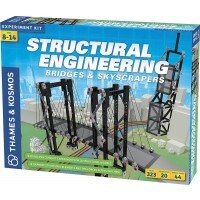 Rating: 5 STEM - building by By A customer Nice building set. We will purchase more sets. 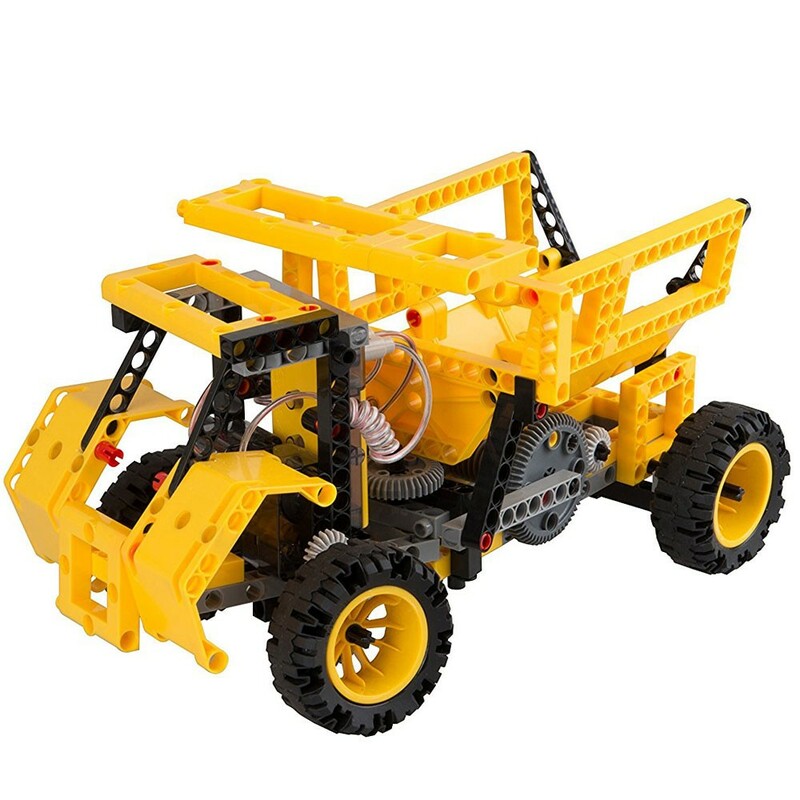 Rating: 1 Two big problems by By A customer Two big issues with this product.1st - This was difficult for me to assemble and I would say near impossible for my son.2nd - The steering linkage for the front wheels has way too much play allowing the wheels to point in different directions. 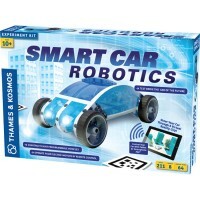 The car struggles to move forward and turn because of this.